This jacket is a favorite and I love wearing it! The initial ‘fabric’ was created in a ‘stack and whack’ workshop at Quilt Canada in Ottawa previously and incorporates four batiks. I created a jacket pattern (my design) and determined that I would use black fabric as a foil for the patterned fabrics. 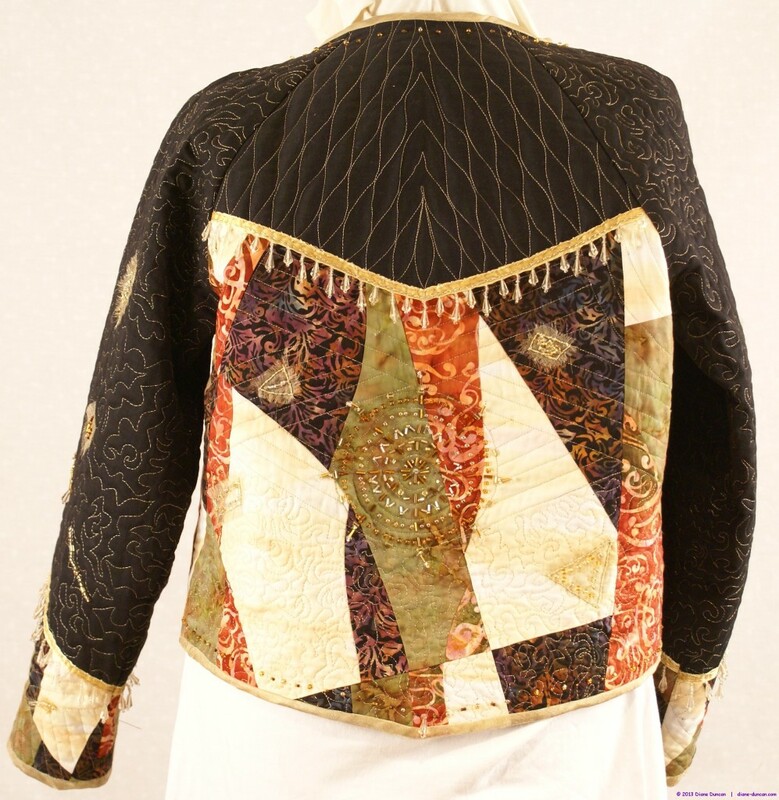 Once the surface was pieced it was layered with a light batting and the jacket is lined with another batik. 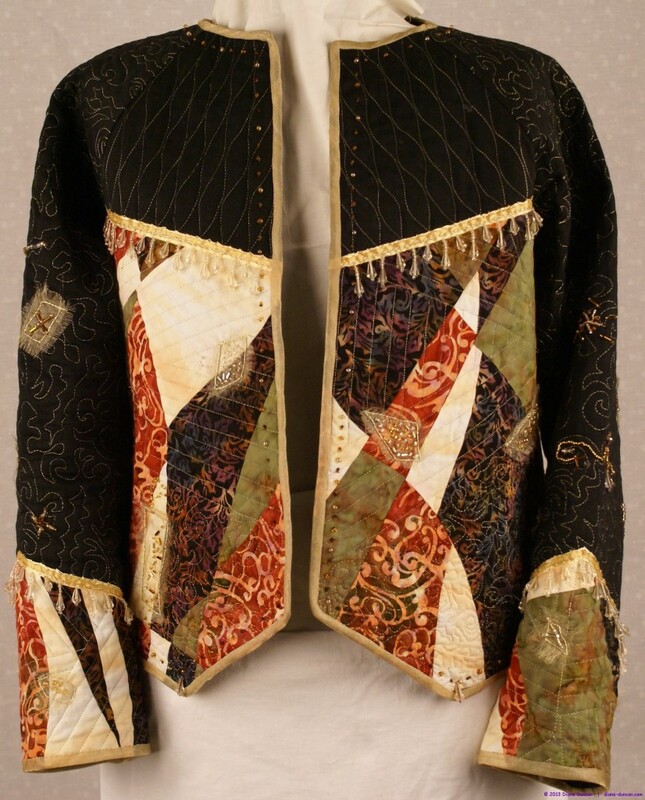 Each jacket piece was machine quilted with metallic thread while still flat. When assembled all seams were enclosed and made neat with a closely spaced serger stitch using a wooly thread. The edges were bound with a double layer of a metallic gold sheer. A commercial beaded trim was restitched to reinforce the thread that I determined would not stand up to use in a wearable. Beads from the trim and others from my collection were added in a random pattern, often over a piece of sheer that was frayed and hand stitched with a metallic thread. A central motif was used on the back. This jacket has won me a couple of show ribbons!